Custom Embroidered Pigment Dyed Garment Washed T-shirts, Great prices. Custom embroidered pigment dyed t-shirts, long sleeve & short sleeve. 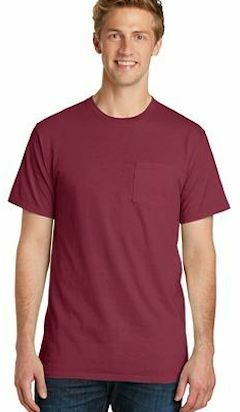 Brands include Comfort Colors, Desert Wash and Authentic Pigment dyed t-shirts. Custom embroidered logo included in price. Soft, washed look with stunning colors and great quality. This tee is unique and incredibly soft with a worn-in, vintage look. Starting with a prepared-for-dye blank and cotton thread ensures vibrant color and a standard fit after washing. 5.5-ounce, 100% pigment-dyed ring spun cotton. The pigment-dyeing process infuses each garment with unique character. Please allow for slight color variation in production and washing. Custom embroidered C1717 Comfort Colors Men's 6.1 oz. 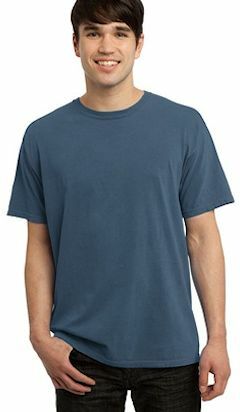 Ringspun Garment-Dyed T-Shirt . 100% ringspun cotton; preshrunk, soft-washed, garment-dyed fabric; set-in sleeves; double-needle stitched sleeves and bottom hem; taped shoulder-to-shoulder; 1" ribbed collar with double-needle topstitched neckline . Custom embroidered logo included. Custom embroidered 6030CC Comfort Colors 6.1 oz. 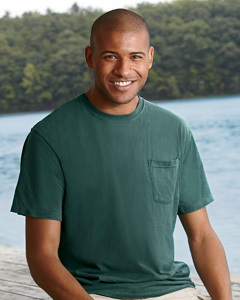 Garment-Dyed Pocket T-Shirt. 100% ringspun cotton; preshrunk, soft-washed, garment-dyed fabric; set-in sleeves; double-needle stitched sleeves, armholes and bottom hem; twill taped shoulder-to-shoulder; 1"? ribbed collar with double-needle topstitched neckline; left-chest pocket . Custom embroidered logo included. Custom embroidered C6014 Comfort Colors 6.1 oz. 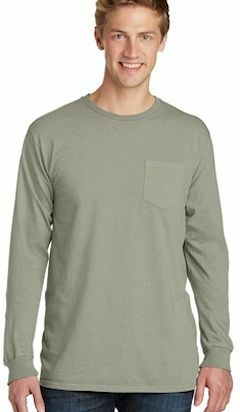 Ringspun Garment-Dyed Long-Sleeve T-Shirt. 6.1 oz., 100% cotton. Soft washed garment-dyed fabric. Preshrunk. Set-in sleeves. Ribbed collar with double-needle topstitched neckline. Ribbed cuffs. Double-needle stitched bottom hem. Taped shoulder-to-shoulder. Custom embroidered logo included.